I'm so sorry for not posting but I have been focusing one final exams , only 2 left!! I decided to make this post as everyone has black,white, grey and denim in their wardrobe and it is so easy to recreate and add your own style to it. These types of clothes are the main things I would wear as I am always sticking to my comfort zone, but they are so universal and can be worn everyday. This is also a kind of Summer outfits guide as it is Summer in Australia at the moment so hopefully this can help some of you! Also, thank you to my friend Taylor for using me in her assignment and getting some awesome pictures!! To be honest, this outfit was thrown together. 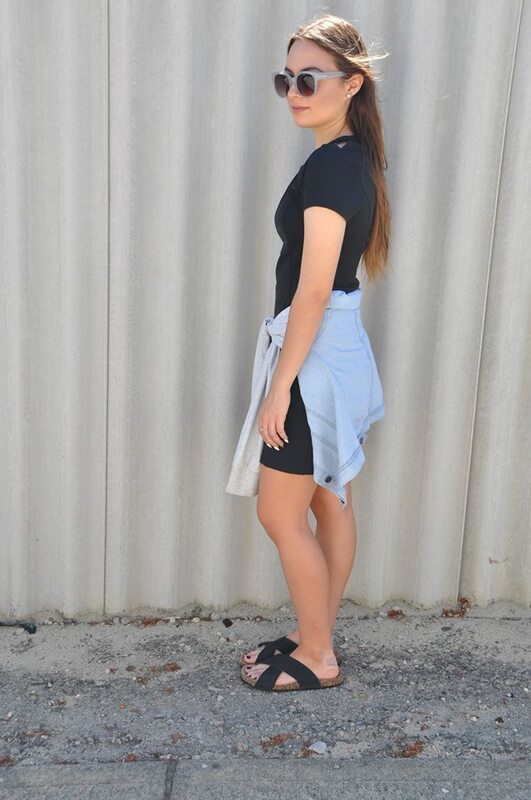 As I said before my friend Taylor and I were on limited time so this outfit was the last, and after stressing on what other clothes we could use once for this assignment we choose the ones we hadn't used and just put them together to create this look. It is a look you can wear casually or dressy by adding the right shoes. In my case we were going more casual so these shoes we perfect, but you could also wear sneakers. I think that would look quite cool too. I love this look for an outdoors festival, like Stereosonic, South Bound etc. I always stay in my comfort zone for festival fashion. So this look is kind of a way to stay basic and look like you're meant to be at the festival. I love how this outfit can be dressed to suit your own style. You can add anything to the outfit like, swapping types of sunglasses, adding a flower crown instead of sunglasses, adding a kimono or boots. 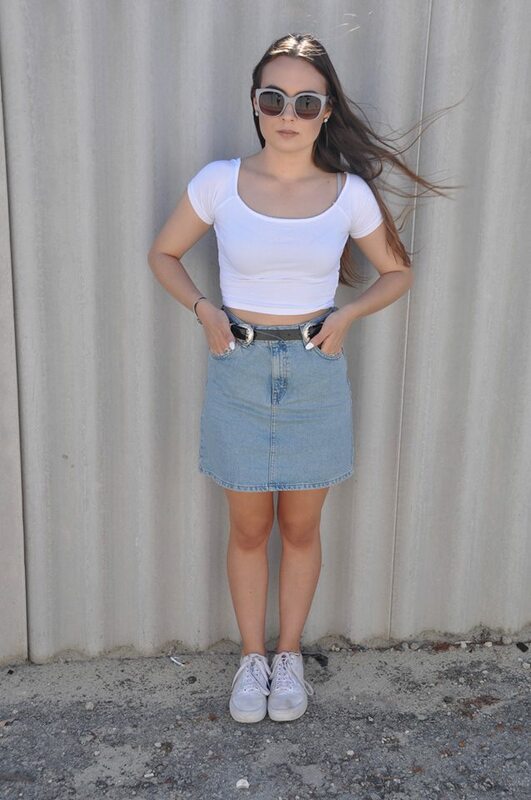 I also love how going for a lighter denim wash skirt almost softens the outfit. It's a blank-canvas-kind-of-outfit that you can use casually or for going to events if you're not brave enough to dress up. This outfit is casual and it would be so good to recreate to go out with friends or see a movie, it's really universal. I love love love white denim skirt and I love how the black converse tie the whole look together. It's really basic and would be super easy to recreate with plenty of different colours. This is also another outfit that can be worn casually for a day-to-day basis. I had to use a really dressy dress and I'd recommend something a bit more comfy or even a full black outfit. I think this looks like a really cool outfit and looks like you put no effort in. I hope the four outfits I put together help some of you, and I'll see you next time.